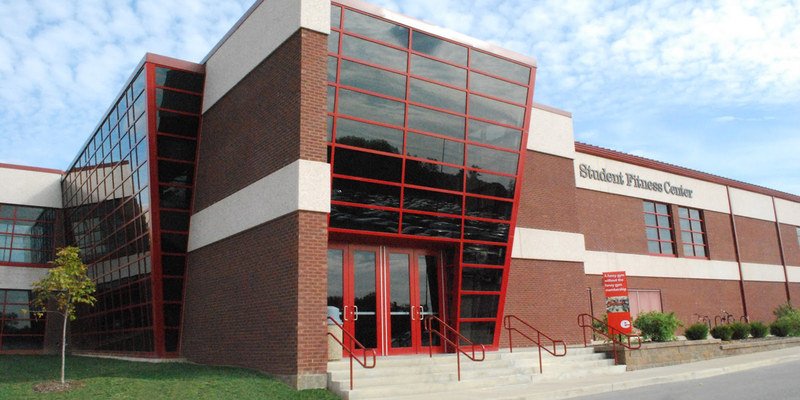 The 9-Hole Disc Golf Course is open to the SIUE community. 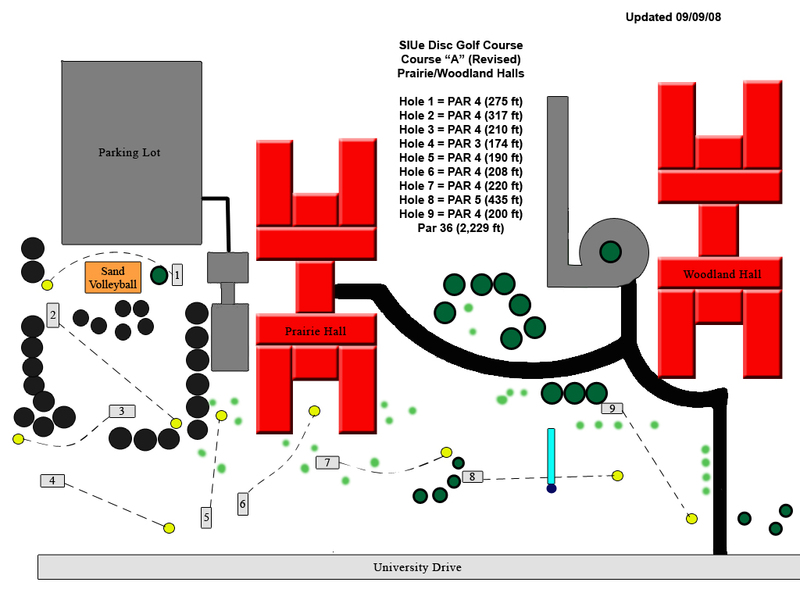 The course is located south of Prairie Hall with the first tee near the Sand Volleyball court. There is no charge to use the course. Players may use their own discs (Frisbees) or check one out at either the front desk of Prairie Hall or the Equipment Issue counter at the Student Fitness Center. 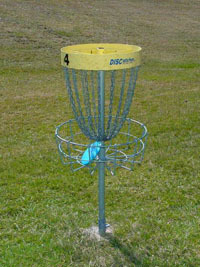 Hole-Out: To complete a hole, disc must land in basket or chains. Tee off must be from T-pad. Player farthest away throws first. A disc lying over 2 meters above the ground is penalized 1 stroke and is played directly below the lie ("lie above ground"). On subsequent throws the foot closest to the hole must be on or within 11" directly behind the lie. Disc coming to rest completely out of play area is out of bounds is a 1 stroke penalty. Play next shot 1 meter from point where disc crossed out of bounds line. Out of bounds is considered sidewalks, roads and parking lots. A 2-stroke penalty will be assessed to any one throwing across sand volleyball court.